Greenheart International connects people and planet to create global leaders through personal development, volunteer service, environmentalism, fair trade, and cultural exchange. This is achieved through the branches Greenheart Travel, Greenheart Shop, Greenheart Transforms, and CCI Greenheart. Greenheart envisions a world in which communities come together as agents of change to create a more peaceful and sustainable future for all. Founded in 1985, Greenheart International is endorsed by the city of Chicago for the promotion of international education, environmental awareness, and citizen diplomacy. 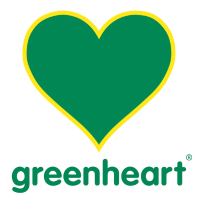 Greenheart is designated by the U.S. Dept. of State as an Exchange Visitor Program visa sponsor for Secondary School, Intern, Trainee, and Summer Work Travel programs. Specific branches are currently granted full listing by the Council of Standards for International Educational Travel (CSIET), and are members of organizations including the World Youth Student and Educational Travel Confederation (WYSTC), The Alliance for International Exchange, Association for International Educators (NAFSA), Fair Trade Federation, Chicago Fair Trade, Chicago Social Enterprise Alliance, and Green America. Greenheart International is committed to sustainability and contracts a private recycling company, purchases Renewable Energy Certificates, uses a third party green auditor, and conducts a Carbon Offset Program for all staff travel. Greenheart Travel is personally invested in providing cultural immersion programs that change lives, advance careers and create leaders. They achieve this by partnering with organizations and governments overseas that empower their local communities through experiential learning and practical development. They provide others with the same positive travel experiences in which they ourselves engage. Through travel and cultural exchange, they help individuals reach their full potential, leading to a more tolerant, peaceful and environmentally sustainable world. As the leading eco-friendly exchange organization, they are passionate about helping travelers explore the globe while respecting the environment and cultural heritage of the destinations they explore. Each year they donate a portion of their travelers’ program fees to one of their environmentally-focused volunteer projects, helping our partners complete specific project goals. Greenheart Travel alumni vote on how they allocate these funds in the weeks leading up to their annual Give Back Award announcement. They believe in supporting their travelers to make a positive impact in their host communities. The Greenheart Club is just one way they can help you promote green practices while traveling abroad through Greenheart Grant funding and community support. Greenheart Travel plays an active role in community initiatives, informative workshops, and fundraisers to help others learn how to travel for a change in our hometown of Chicago, Illinois.